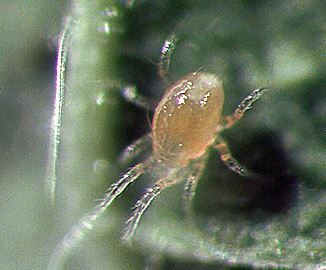 Neoseiulus (=Amblyseius) fallacis, the All-Purpose predatory mite, is used for the prevention, control, and management of various spider mites. These mites are voracious predators of several pestiferous spider mite species. 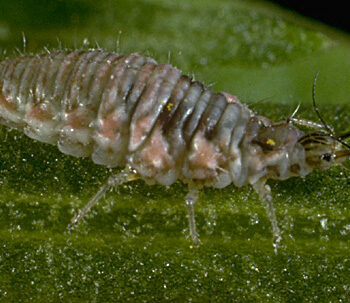 N. fallacis can prevent and control a number pest mites in a multitude of conditions. Some of the species they can impact include: the two-spotted mite (Tetranychus urticae); the carmine red mite (T. cinnabarinus); a two-spotted mite relative (T. evansi); the European red mite (Panonychus ulmi); the citrus red mite (P. citri); the southern red mite (Oligonychus ilicis); the six-spotted mite (Eotetranychus sexmaculatus); the Pacific mite (T. pacificus). Moreover, these predators may offer some control of the privet mite (B. obovatus), cyclamen mites (Phtyodromus pallidus), broad mites (Polyphagotarsenomus latus) and tomato russet mites (Aculops lycopersici), and other species. The tiny 0.5 mm. 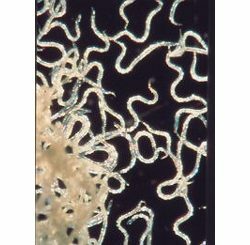 clear-white to clear-pink adult female mites lay eggs amongst spider mite concentrations and their webbing (which is produced by the two-spotted mite), if present. They can lay up to 100 of them! The eggs hatch into super small larvae which develop into nymphal forms before reaching adulthood. These, too, are fierce predators, consuming many spider mites eggs and young.The life-span of these predators is roughly 8 days in their immature stages, then around 1 month as adults. The conditions for optimum performance will be between 70-100°F with a relative humidity of between 40-90%. But these are optimum conditions, and not necessarily a prerequisite of successful implementation. Please note, however, considerably cooler and warmer temperatures will hamper reproduction and development a certain degree.These mites will feed at temperatures as low as 35°F and as high as 100°F. However, at the low-end of the scale (less than 50°F), they won’t reproduce, and at the high-end they need very humid conditions to work with any efficiency. Preventive releases are very cost-effective and useful, especially when pollen and sheltering groundcover are present. Spring release are the obvious time that preventive releases can be made. However, under many circumstances, fall releases will also work well with this mite in the name of prevention. This is especially true on strawberries.These predators can live off of pollen alone. This makes them an excellent preventive agent as well as a curative one.Lastly, one more benefit: these mites can easily overwinter and establish themselves just about everywhere, in minor numbers that is until some pests show up. Application Rate: Fallacis is most effective when applied at the first sign of a mite infestation – careful monitoring is necessary for effective control with predator mites. 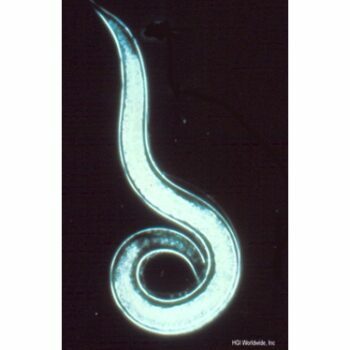 Greenhouse crops: Introduce at a rate of 1-5 Fallacis/10 ft2 (m2) to all infested plants. Use the lower rate for preventative introductions onto mite susceptible plants; use the higher rates if there are established mite populations. They will usually become established in the crop after one introduction, where they remain if mites or pollen are available for food. Field crops (including berries and mint): Release 7,000 to 10,000/acre when spider mite densities are 0.3/leaf or higher. Spread evenly throughout field using 60-80 release spots, concentrating where mites are worst. Make first release early in spring for control that year and release in summer for control the next season. This item MUST be sent by 2nd Day Air at a minimum. If you select a lesser shipping method, we will upgrade it to the minimum level and your shipping charges will be adjusted.